In 1865 a group of women in London formed a discussion group called the Kensington Society. Nine of the eleven women who attended the early meetings were unmarried and were attempting to pursue a career in education or medicine. The group eventually included Barbara Bodichon, Jessie Boucherett, Emily Davies, Francis Mary Buss, Dorothea Beale, Anne Clough, Louisa Smith, Alice Westlake, Katherine Hare, Harriet Cook, Helen Taylor, Elizabeth Wolstenholme-Elmy and Elizabeth Garrett. On 21st November 1865, the women discussed the topic of parliamentary reform. The question was: "Is the extension of the Parliamentary suffrage to women desirable, and if so, under what conditions?. Both Barbara Bodichon and Helen Taylor submitted a paper on the topic. The women thought it was unfair that women were not allowed to vote in parliamentary elections. They therefore decided to draft a petition asking Parliament to grant women the vote. 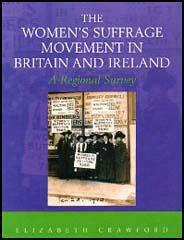 The women took their petition to Henry Fawcett and John Stuart Mill, two MPs who supported universal suffrage. Mill added an amendment to the 1967 Reform Act that would give women the same political rights as men. During the debate on Mill's amendment, Edward Kent Karslake, the Conservative MP for Colchester, said in the House of Commons that the main reason he opposed the measure was that he had not met one woman in Essex who agreed with women's suffrage. Lydia Becker, Helen Taylor and Frances Power Cobbe, decided to take up this challenge and devised the idea of collecting signatures in Colchester for a petition that Karslake could then present to parliament. They found 129 women resident in the town willing to sign the petition and on 25th July, 1867, Karslake presented the list to parliament. Despite this petition the Mill amendment was defeated by 196 votes to 73. Members of the Kensington Society were very disappointed when they heard the news and they decided to form the London Society for Women's Suffrage. John Stuart Mill became president and other members included Helen Taylor, Frances Power Cobbe, Lydia Becker, Millicent Fawcett, Barbara Bodichon, Jessie Boucherett, Emily Davies, Francis Mary Buss, Dorothea Beale, Anne Clough, Lilias Ashworth Hallett, Louisa Smith, Alice Westlake, Katherine Hare, Harriet Cook, Catherine Winkworth, Kate Amberley, Elizabeth Garrett, Priscilla Bright McLaren and Margaret Bright Lucas. Mentia Taylor agreed to be secretary of the London Society for Women's Suffrage. On 15th July 1867 she wrote to Helen Taylor that "Our present course of action is the dissemination of information throughout the kingdom and it seems to me, we cannot apply our pounds to better purpose than by the publication of good papers." The following year the LSWS reprinted as a pamphlet, an article written by Harriet Taylor, The Enfranchisement of Women. On 26th March, 1870, the London Society for Women's Suffrage, held a meeting on women's suffrage, in the Hanover Rooms on 26th March, 1870. Helen Taylor was the main speaker. Catherine Winkworth wrote later: "Miss Helen Taylor made a most remarkable speech. She is a slight young woman, with long, thin, delicate features, clear dark eyes and dark hair, which she wears in long bands on her cheeks, fashionably dressed in slight mourning; speaks off the platform in a high, thin voice, very shyly with an embarrassed air; on the platform she was really eloquent." Another observer, Kate Amberley commented that it was "a long and much studied speech; it was good but too like acting. Other speakers at the meeting included John Stuart Mill, Millicent Fawcett, Katherine Hare and Charles Dilke. 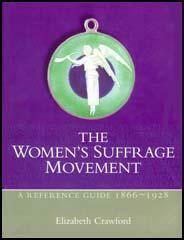 The London Society for Women's Suffrage held several meetings every year. According to Elizabeth Crawford, the author of The Suffragette Movement (1999): "In the year 1875-76 the London National Society appears to have held three public meetings, four at working men's clubs, and 13 drawing-room meetings." Crawford points out that at one of these meetings held at St Pancras it was made clear that "the object of the society is to obtain the parliamentary franchise for widows and spinsters on the same conditions as those on which it is granted to men."